Castle PC engineers visit customers homes to give individual on-site service with the reassurance of knowing they will receive the same level of attention as our corporate clients. 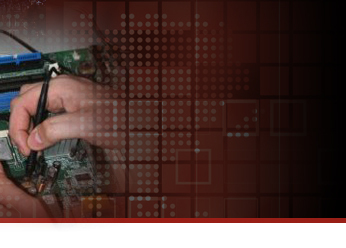 With this we are also able to supply up-to-date upgrades, internet security systems and accessories. We can perform an initial installation and, if required, provide a low-cost service agreement for future repairs, maintenance or upgrades. 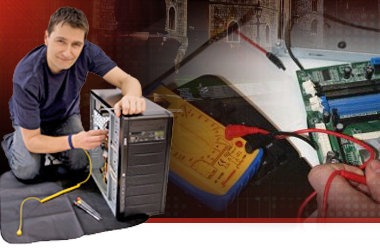 Castle PC not only has the in-house capability to repair almost all faults and software issues, but also utilises the services of one of the countries’ top motherboard repair facilities in London, where much more detailed services can be accomplished, including the intricate removal and replacement of microchips. Having a permanent, and substantial high street presence gives a high level of reassurance that all our work is fully guaranteed and our engineers fully accountable. It removes the risk of contacting a freelance operation out of the Yellow Pages and facing the dangers of letting strangers into your house. All work comes with a three month warranty. Contact us today for free advice, or bring your computer to our shop for a free health check or fault diagnosis.